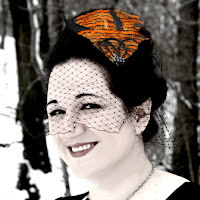 First off author Pavarti K Tyler! Hi Pav and welcome back to Full Moon Bites! :) Can you tell us a little about this hop? Where did the idea for it come from and what is the goal? 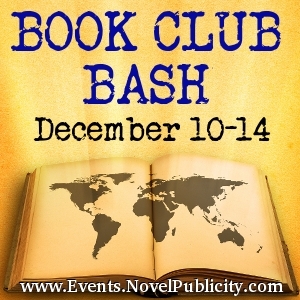 The Book Club Bash is all about ways we authors can connect to readers. One of the things I’ve done, which my fellow Bashers have as well, is include a discussion guide and Q&A in the back of my book. I’ve had a number of people tell me that some of the nuggets of information about me and why I wrote the book really deepened their reading of it. 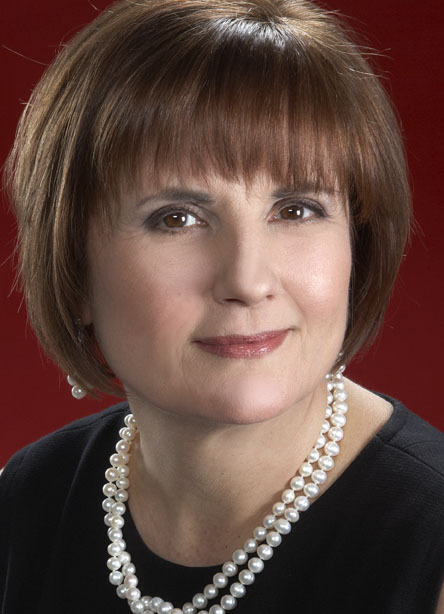 As an author, I long to talk to readers, to know more about them and what they get from my work. Its not always possible, but I try to initiate as much of that contact as I can. 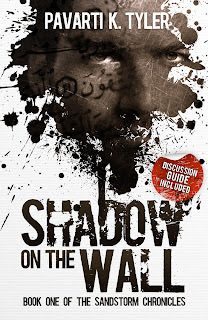 Shadow on the Wall is the first book in your SandStorm Chronicles. 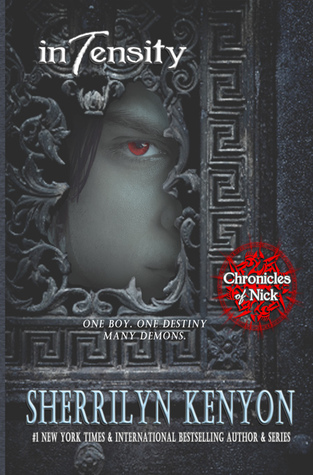 Are you currently working on book two and do you expect it to be out within the next year? Ummm, yeah well… I’m still percolating. Shadow on the Wall took a lot out of me to write. It’s short – only 55k words – but jack full of plot and characters. It took me 18 months to write it and while I know folks are excited for Book Two, it’s one of those things that is just going to need some time. What I can tell you is that the title of Book Two is Prisoners of the Wind and you’re going to get a lot more Darya and Isik as well as some back story on Recai’s parents. 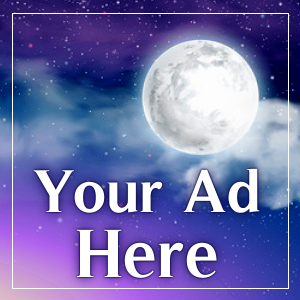 You have another series, or serial story called, Two Moons of Sera. Vol. 3 was just released not long ago and I think I heard you mention Vol. 4 should be released some soon. Do you know how many Vol.’s there is gong to be for Two Moons of Sera before it is ‘complete’? 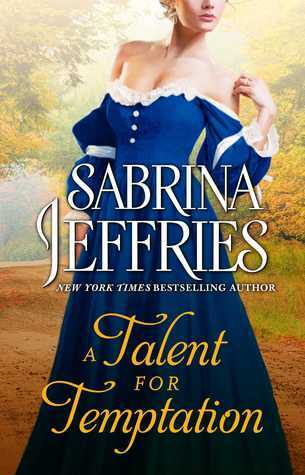 two companion novellas which are still unnamed, one will be a prequel and focus on Nilafay, Sera’s mother and the other will be about Lace and Jax. I hope everyone will enjoy them and the layers they will add to the world of Sera and Tor. Hi Lenore! :) You recently published a literary fiction novel, Bluff. Can you tell us a little about Bluff? 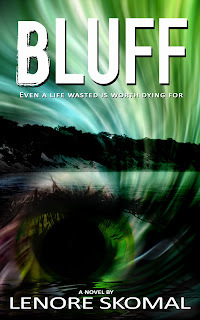 Bluff takes a look at issues in our lives that are admittedly painful and unpleasant to look at. The plot surrounds the protagonist, Jude Black, who lies in a coma, five months pregnant, being kept alive by artificial means in order to bring her baby to term. The bulk of the story is told through her perspective, even though she cannot speak or move. Questions loom about who the father of her baby is, how she fell off the bluff in the first place, and what her intentions would be regarding end of life issues. The plot gets more complicated by the other characters whose lives become intertwined because of Jude's decisions. Part of the intrigue and lure of the book, I believe, is due to the unapologetic portrayal I give of everyone, but make no mistake, this doesn't keep the reader from relating to them and understanding them. I read that you were writing a sequel to Bluff for NaNoWriMo last month. Do you have a title for the follow up and any plans to publish within the next year? My working title for the book is Unforgiven. I chose that for now because I will continue to carry over the themes that no one gets away with anything. Cause and effect is strict and unforgiving, and so those characters who appear to have gotten off without consequence will reap what they sow in this sequel. I suspect it will be on the shelves by late spring, early summer. I know you probably do not want to give any of the blog away or anything so will just ask one question. Does the sequel follow the same plot or a character that was in Bluff? Or is it the same world but a different plot/new characters? 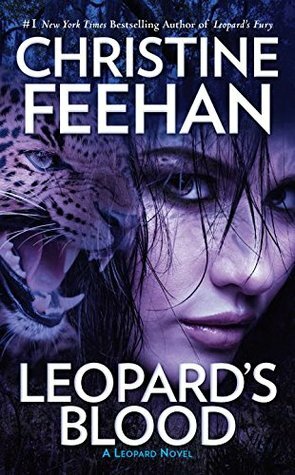 Same world, some carryover plot with some new, crazy twists, but also several new plot lines; a few different characters, but predominately, the story will focus on a grown-up August, her family, as well as Mary Shannon and PJ. Of course, whatever happened to Paul will have to be revealed. 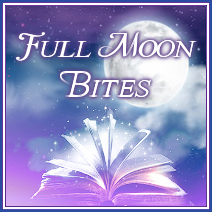 Hi Anderson and welcome back to Full Moon Bites! :) In May this year you published your first novel, Kingdom. Kingdom is also the first book of your Tiber City Trilogy. Do you have any plans for book two? Are you perhaps working on it now? Yes! I'm already working on book two in the Tiber City Trilogy, tentatively titled "Exile." I know authors get asked this a lot but what was the inspiration for the Tiber City Trilogy? What sparked and brought this world to life? Growing up, I worshiped William Gibson's Sprawl trilogy, and Tiber City is a nod to that world. But I wanted to but my own spin on things; to take the classic dystopian city. The thing I love about the dystopian city is that it frees the author to be as wild and weird as they can be. So while the Sprawl is the inspiration for Tiber--the spark, so to speak. But I've tried to use the world around me to give the city life. For example, I'll see or read about some event that seems only a step or two removed from legitimate dystopian madness, and then just work that event into the city. Do you have any plans for other books outside the Tiber City Trilogy? Hi Jane! 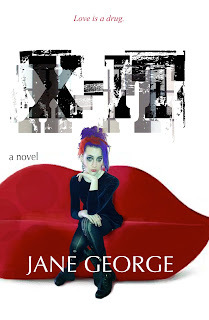 :) You recently published X-IT a novel that centers around J.J a mannequin painter. In 150 words or less can you tell us a little about J.J. and her life? J.J.'s childhood robbed her of a good deal of personal security, confidence, and feelings of self-worth. Now that she's eighteen and on the cusp of adulthood, she needs to track down these things for herself when she's not even all that consciously aware of what she's seeking. J.J. is brave, reckless even, in the way she inserts herself into new situations. However, she would never view herself that way. She sees in X-It all of the things she can't see in herself; her beauty, her talent, her creativity. When she falls hard for X-It, she's really saying, "I want to be like him." His aloofness toward her mirrors her detachment from herself. This dynamic heightens the tragedy when J.J. plunges into risky behavior as she searches for experiences that will define what is real or authentic in her life. You just published the second novel in your Mumbo Jumbo Circus series called The Daring Young Man. 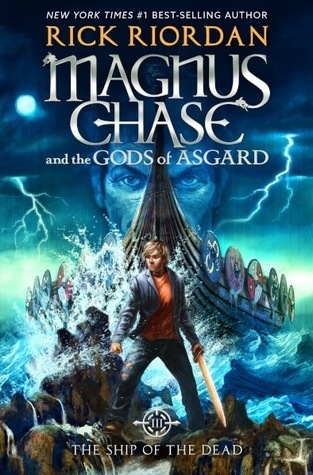 Do you have any plans for a third novel in this series? The Daring Young Man will be out on December 10, 2012. 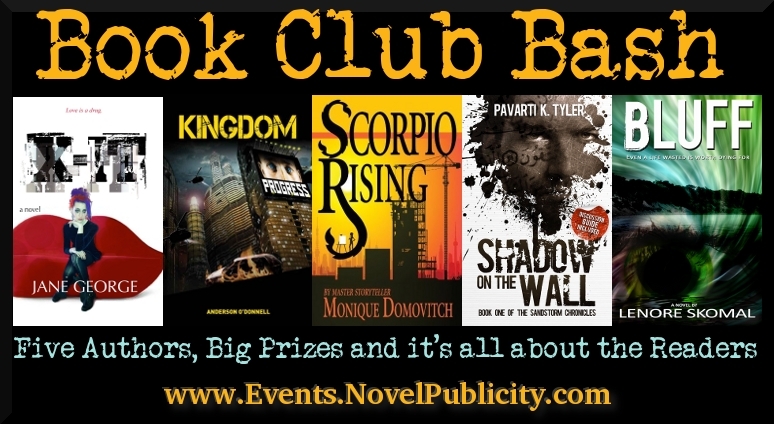 There are five planned books in the series, but I love my Mumbo Jumbo Circus world so much that I could see adding a couple more books set there. From what I understand X-IT is your first book out of the YA genre. 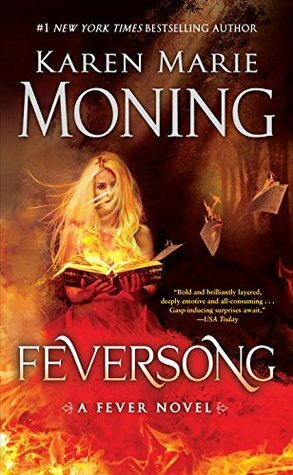 What inspired you to move from YA and branch into a new genre? Or have you always had an interest to write out side of YA? Actually, the YA series happened the other way around. 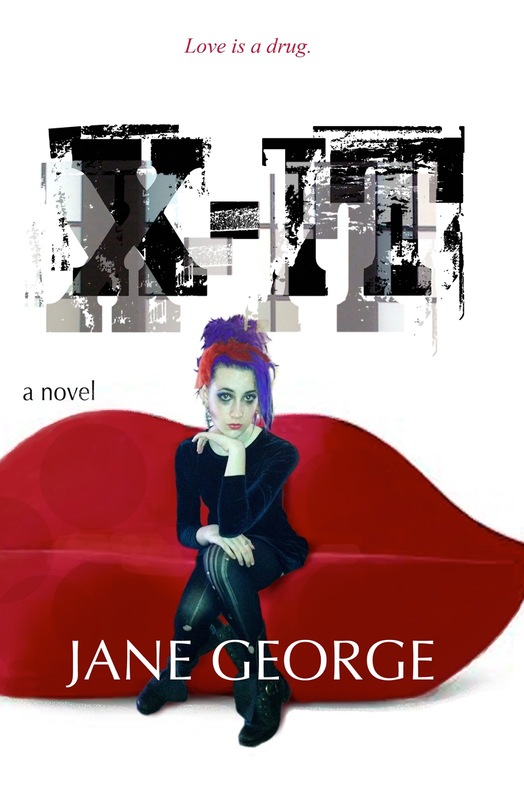 X-It is my fourth completed literary/mainstream novel and I wrote it before I started the YA circus books. X-It was a difficult book for me, emotionally, and it took a long time to get it to the place where it felt right. (Those other manuscripts may see the light of day eventually. We'll see.) While I was wrestling with X-It, I got the idea for the circus series, and it was so much fun I ran with it. My circus world and themes are a bit gritty as well. They're not as hard-hitting as X-It, but I do recommend them for readers age fourteen and up. Hi Monique! 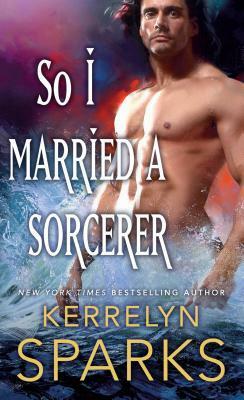 :) You have two books out so far both in The Scorpio Series. Can you tell us a little about this series and its main characters? My two Scorpio books were the first I wrote, so I care very much about them and their characters. The two main characters are Alex and Brigitte, both of whom have suffered difficult childhoods. As is often the case, the abuse they endured has left them with scars that dictates much of their behavior as adults. Even though they are both driven individuals, their similarities seem to tend there. Whereas Alex shuns love, seeing it as entrapment, Brigitte craves it with all her being. Will these two overcome their emotional baggage and find love together? That is at the heart of the story. 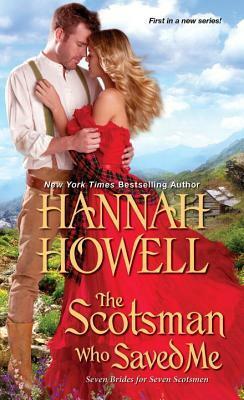 Why historical fiction/romance? What draws you to this genre? I've always been drawn to the fifties and sixties, the time frame where a lot of this story takes place. Apart from loving the fashions of the time, it was important to place the story in a time frame when male dominance and submissive women were the norm. 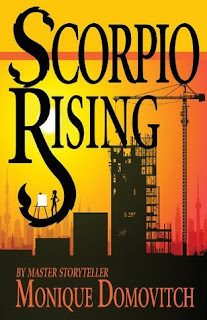 Do you have plans for a third book in The Scorpio Series? There won't be anymore Scorpio books, however my plan is to continue the series based of all the Astrological signs. Scorpio was the first. The next one, The Bull of Wall Street, about a portfolio manage's' greed and deception, will be based on the Taurus personality. 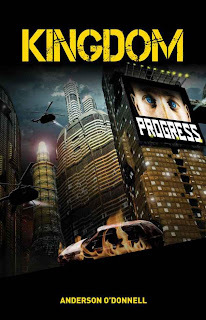 Anderson O’Donnell presents a biopunk, dystopian noir-esque thriller in his debut novel, KINGDOM. Anderson lives in Connecticut with his wife and 2 sons. Kingdom is the first part of the Tiber City Trilogy. Look for part two, Exile,in the summer of 2013. 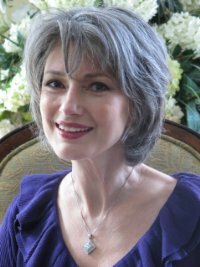 Author and illustrator Jane George lives in the San Francisco Bay Area. She holds a BFA in illustration from the California College of the Arts and has won awards for her art.